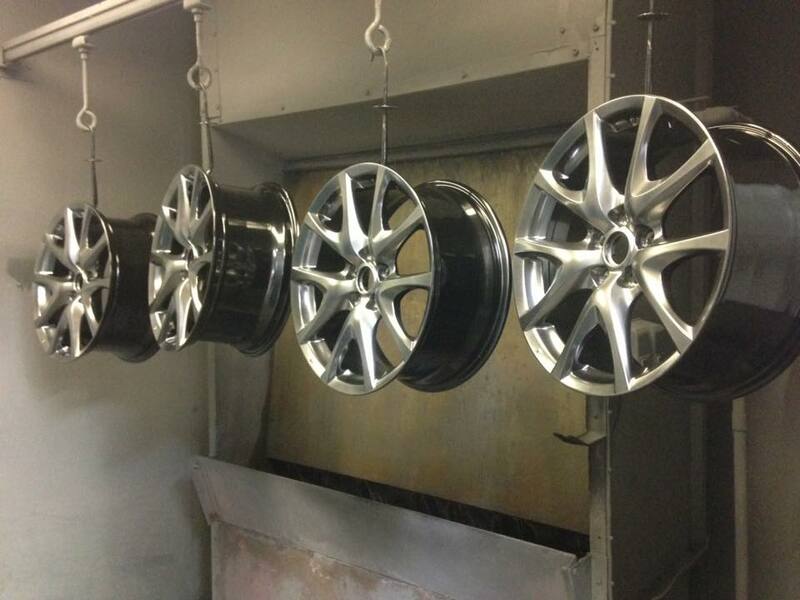 Alloy Wheel Repair & Refurbishment with either a fully customised finish or the original manufacturers finish. 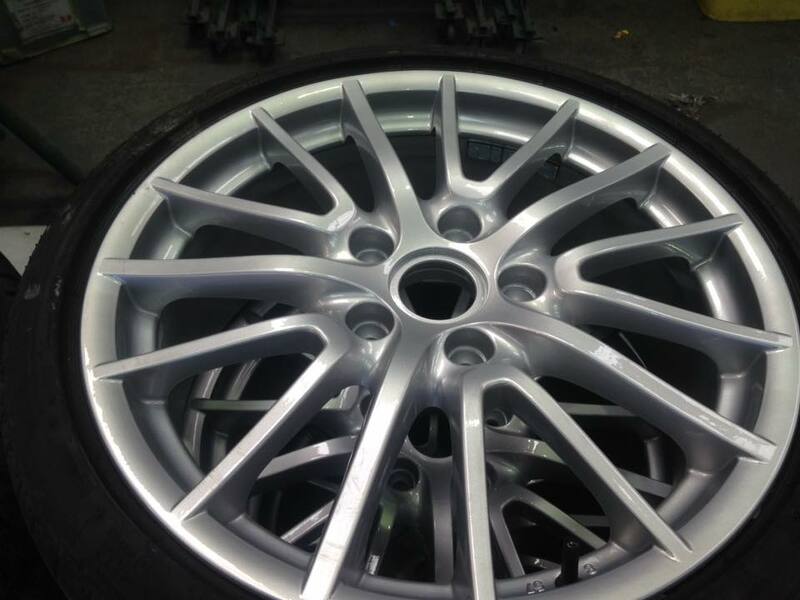 We also offer Alloy Wheel Diamond Cutting. 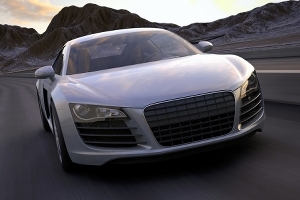 Do you need your Alloy Wheels Repairing? Want them to look like like brand new again? 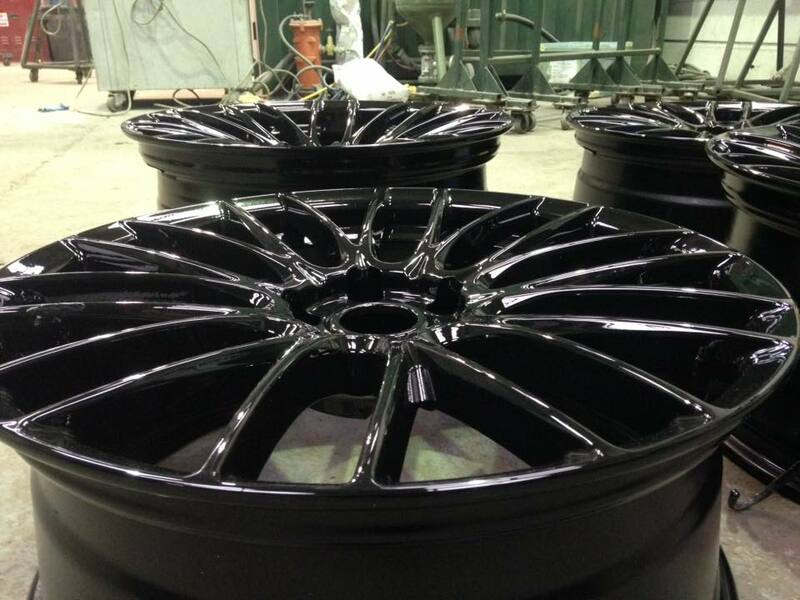 Would you like your wheels to be even better than before? 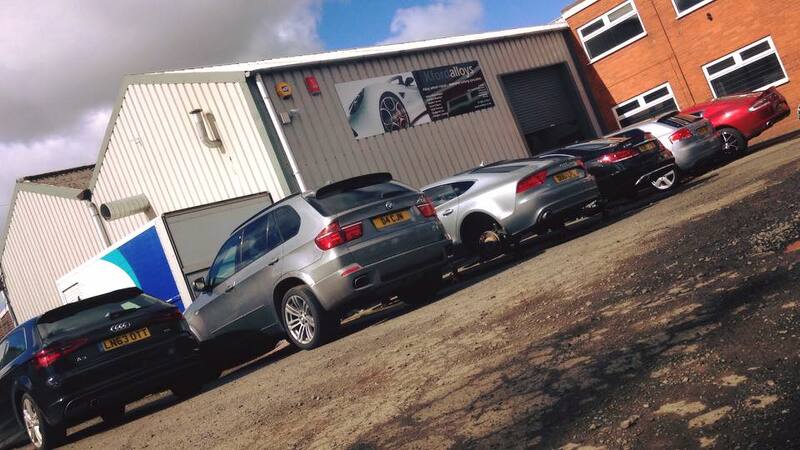 Then Kingswinford Alloys is the place to visit. 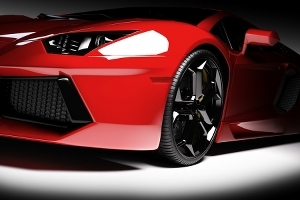 Diamond Cutting is an incredibly popular finish for Alloy wheels. 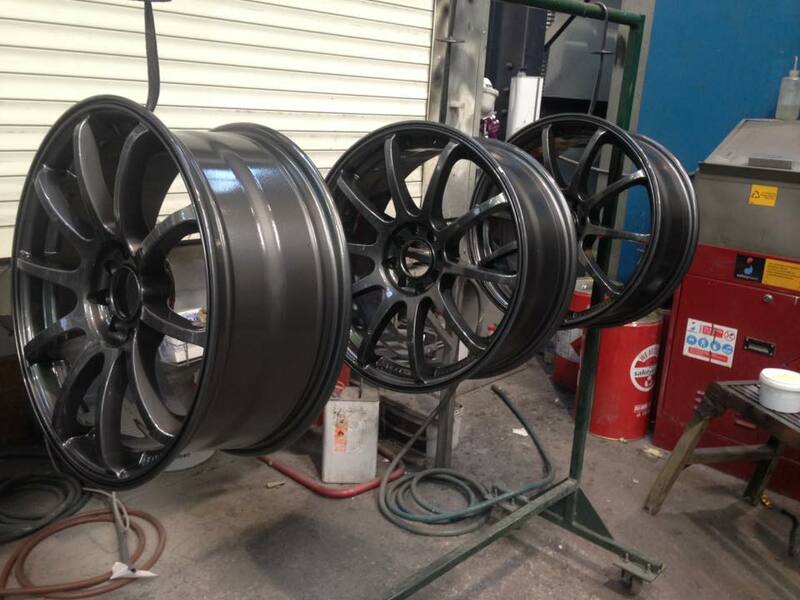 Your wheels are still repaired using the same techniques as a standard painted wheel, but they can also be precision finished using a diamond cutting tool which is carried out on our CNC Lathe. 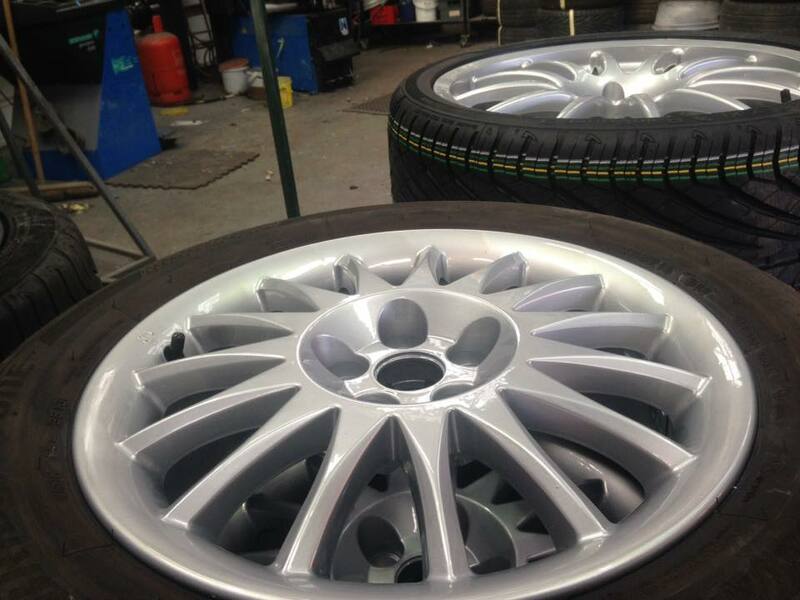 Diamond Cut wheels are now being fitted as standard on more and more cars, particularly sports and luxury models. 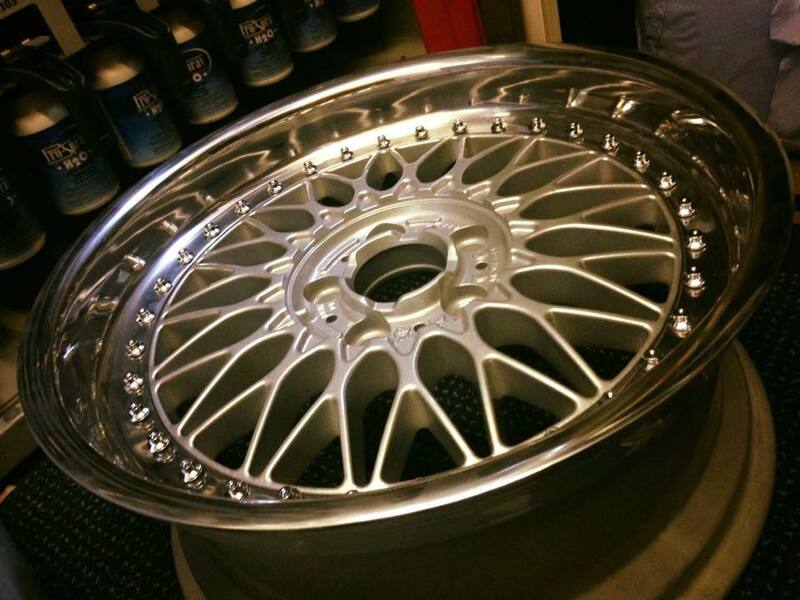 We offer a comprehensive range of Alloy Wheel Services including Repair and Enhancements, simply click on any of the links below to view the information you require. 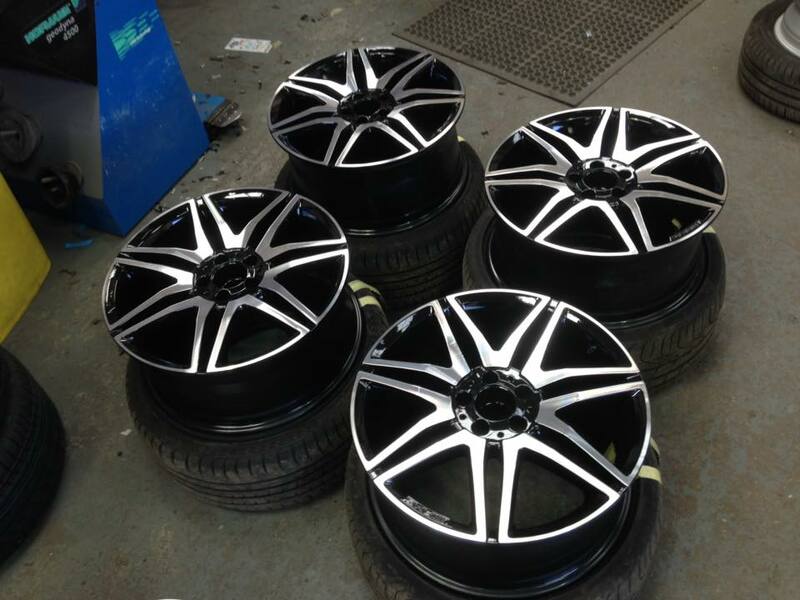 Please find our complete Alloy Wheel Repair Price List with sizes. 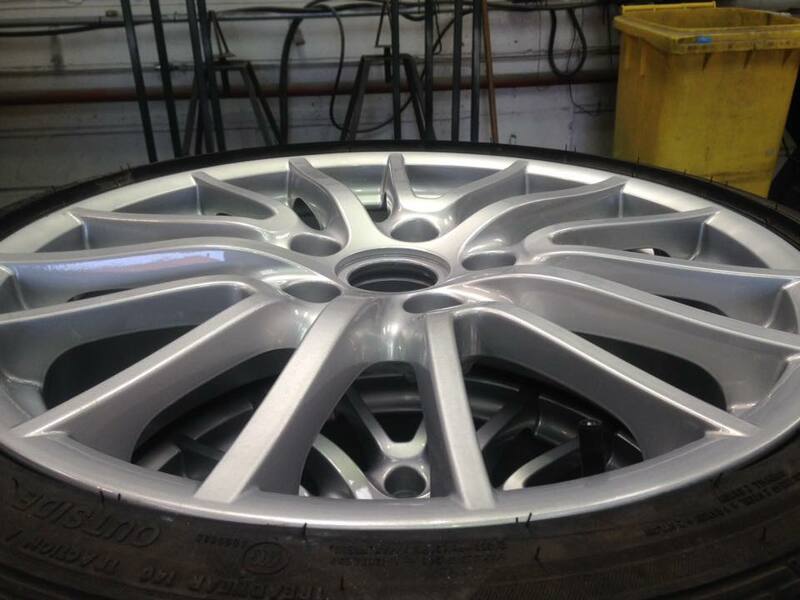 We are confident that we can repair almost any alloy wheel to the original manufacturer’s finish or totally customised. 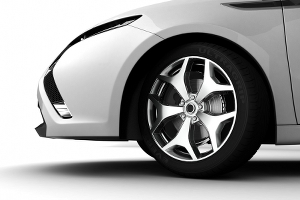 Alloy Wheels are a crucial and integral part of your vehicle and are not only there to look good, they’re also there to keep you safe and secure. So a “kerbed” wheel or a “cracked” wheel that might hide structural damage not visible to the naked eye will need to be fixed professionally. 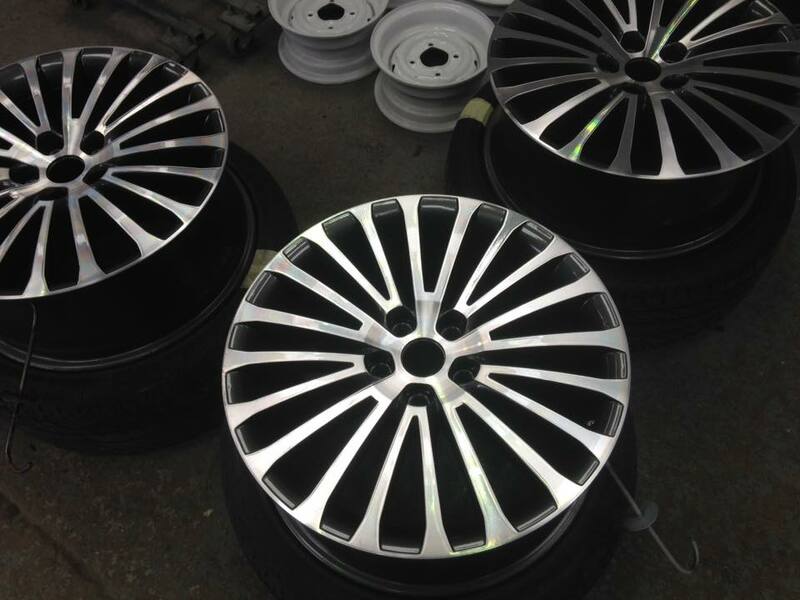 Kingswinford Alloys can repair and finish your wheels so they are like new or better than new! 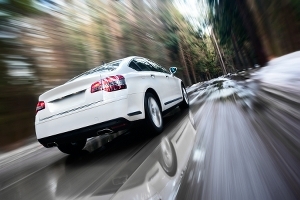 Firstly we will need to remove the damaged wheels from your car so we can make an assessment. 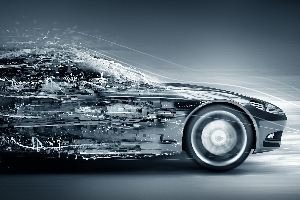 Each type of repair will require a unique set of processes in order to return your wheel back to its original, or if you prefer, improved condition. 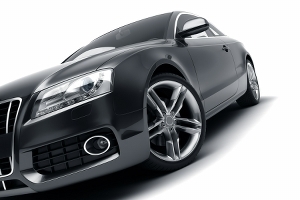 Once Kingswinford Alloy’s technicians receive your wheel, they will remove the tyre and thoroughly test the alloy for any structural defects following which the wheel will be repaired using a number of techniques. 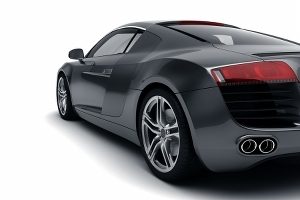 Frequently the alloy will be immersed in acid to remove any paint or oxidation impurities. Normally then we will add a primer which will be naked and smoothed to as close a flat finish as can be achieved. Your alloy will then be ready for painting. 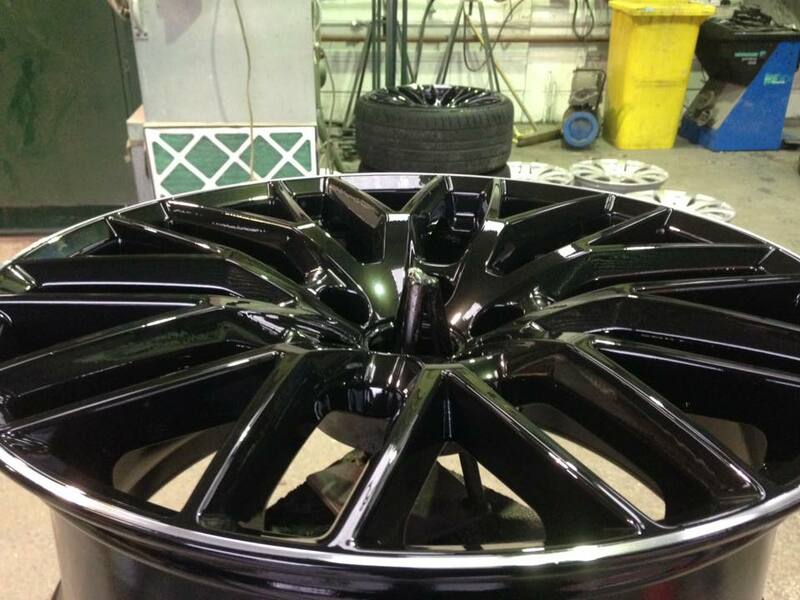 Your wheel can normally be painted back to the original manufacturers colour, or alternatively, if we are dealing with all four wheel from your vehicle, you can choose from a wide range of custom colours and finishes. Finally your wheel is alloy is baked for a second time and finished with a protective lacquer. 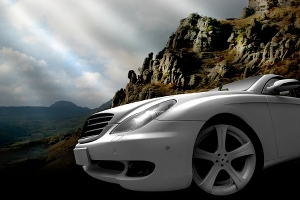 The last part of the process is to re-fit your tyre, balance the wheel and fit it back onto your car, all tightened according to the manufacturers recommended torque settings. We are absolutely certain that you will be “bowled-over” by the quality and speed of our work!